Below the Tower of Winds and before the threshold of the famous Sistine Chapel stretches a vast gallery of carefully painted maps. Preceding Google Maps and satellite imagery by nearly half a millennium, these frescoes were commissioned by Pope Gregory XIII in the 16th century, providing a bird’s eye view of the Italian peninsula’s natural and human landscapes. 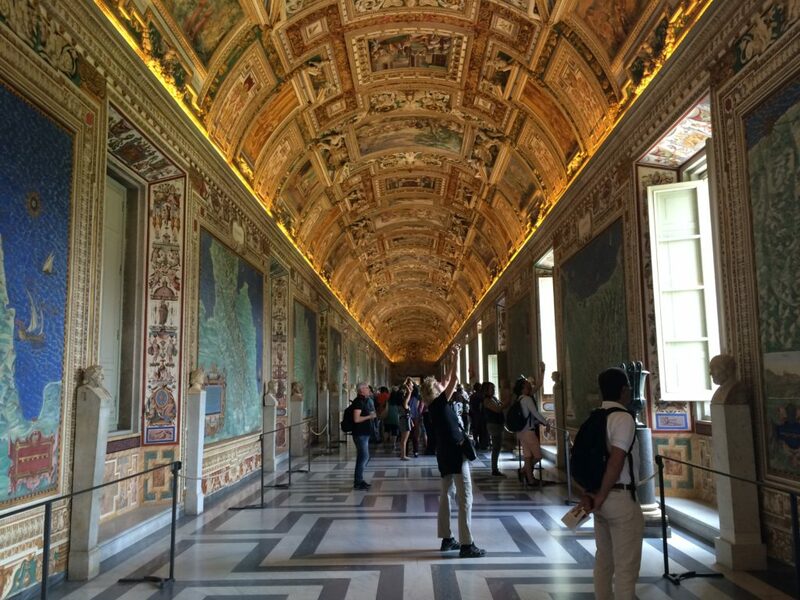 While the maps of the Galleria delle Carte Geografiche of the Vatican Palace reflect a rich legacy of mapping in the history of the Catholic Church, has a similar union between religion and geography continued to the present day? GoodLands is one such organization that aims to reinvigorate the tradition of mapping in the Catholic Church. By leveraging the power of GIS, they promote sustainable and efficient management of Church-owned lands which are practices that advance social and environmental conditions for both religious and nonreligious communities. Oftentimes, the world is viewed through the framework of geopolitical boundaries, creating a schema that shapes our analyses, outlooks and decisions. But what if this framework is insufficient to solve our problems at hand, or what if national governments begin to fail with measures such as environmental regulation? Such questions led Molly Burhans, founder and executive director of GoodLands, to search for an alternative geography outside the geopolitical convention. 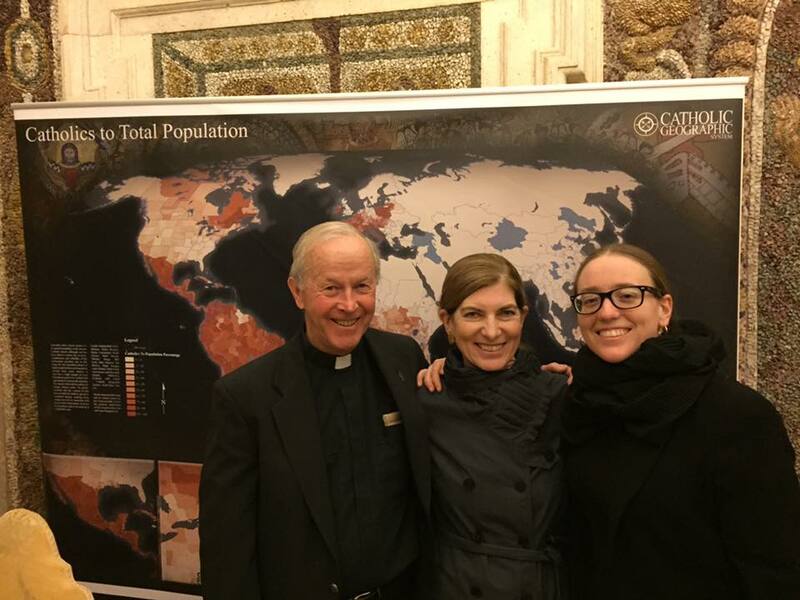 While studying ecological design, Burhans was exposed to GIS technology, and pondered combining the powerful capabilities of spatial analysis with the extensive networks of the Catholic Church to address social and environmental issues. “This network of 1.2 billion people, the largest non-governmental of network of healthcare…education and land in the world. How can we tap into that for good?” inquires Burhans, as she describes her motivations behind starting GoodLands. The answer lies in understanding the world through the boundaries of the Church, which led Burhans and a team from ESRI to create the Map of Ecclesiastical Jurisdictions of the Catholic Church, the first ever digital world map of a major religion by its own geo-religious boundaries. Featuring various orders of administrative boundaries including the Episcopal conference, the province, and the diocese-level, this map allows one to view the spatial distribution of data from a different, geo-religious perspective. A visualization of the Map of Ecclesiastical Jurisdictions from the Catholic Geographic System website. Click to see the animation! GIF courtesy of Molly Burhans. An example of analysis through geo-religious boundaries can be seen in a project by GoodLands that aims to identify areas with the greatest rates of anthropogenic deforestation. Using data from the Global Forest Watch, GoodLands found that in the year 2015, many alerts for deforestation were happening in areas where high portions, up to 90 percent, of the population were Catholic. Using this information, Burhans points to the potential of tapping into the Catholic networks in these areas in order to determine causation between factors, and to see if such issues may be potentially mitigated through the local Church leadership. “There is a lot of on-the-ground activism of laypeople and religious people, so being able to tap into this network is really important for addressing these critical social and environmental issues” states Burhans, highlighting how utilizing the framework of geo-religious boundaries presents an alternative basis from which analyses and decisions can be made. A map of tree-cover loss by diocese from the Catholic Geographic System website. Courtesy of Molly Burhans. Currently, GoodLands is working on various mapping initiatives that demonstrate the union between GIS technology and the Catholic Church. In one such project, they part of a lab connected with individuals in Rome and are providing mapping support for planning strategies in Africa. In terms of mapping geo-religious boundaries, they are extending their administrative divisions to cover the level of parishes. Since this is an enormous undertaking on a global-scale, they are starting off by focusing on creating a map at this scale for the United States. GoodLands has also created a temporary exhibition of modern maps evoking the idea of a modern Galleria delle Carte Geografiche. This exhibition was in Casina Pio IV, where the Pontifical Academy of Sciences, whose first president was Galileo, is housed. These many initiatives demonstrate how GoodLands works at the intersection of geography and religion, harnessing the capabilities of GIS to promote positive social change and a more sustainable future. Executive Director Molly Burhans with Advisory Board members Rosanne Haggerty and Fr. Robert Maloney at the exhibition of maps in Casina Pio IV. For more information on GoodLands, check out their official website and Facebook. GoodLands is also part of Catholic Geographic System. Check our their site here.